Dipesh Gurung ~ by Juniper Rose | DBP MAGAZINE ONLINE The World's Best Free Whitewater Publication. Dipesh Gurung was raised in a self-described “normal village” in Nepal. He now has the chance to lead the way in developing Nepal’s kayak instruction standards. The goal is to raise Nepal to the highest standards of kayak instruction in the world and change the scope of opportunities for up-and-coming Nepali kayakers, but the process isn’t easy. 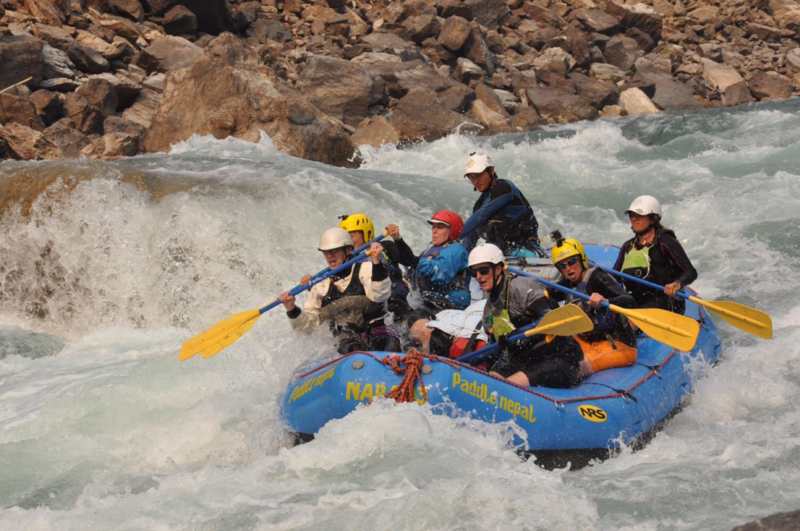 Join Adventures, a team leading whitewater expedition in Nepal and developing funds for sponsorships and training programs both locally and internationally, is striving to make this goal a reality. The group is currently working to send Gurung to New Zealand where he would spend three months training with the New Zealand Kayak school as part of a long term project to qualify a team of Nepali kayakers through the New Zealand Outdoor Instructors Association and to create an equivalent national standard in Nepal. Gurung started kayaking nearly a decade ago, and learned to paddle and roll a kayak in a lake near his brother’s apartment in Pokhara — he didn’t have access to any rivers at the time. He is now a class V kayaker, raft guide and trip leader, but he wants to take it a step further. Nepal has no internationally recognized kayak instructors or programs to qualify international instructors, so traveling to New Zealand to train would set Gurung apart. 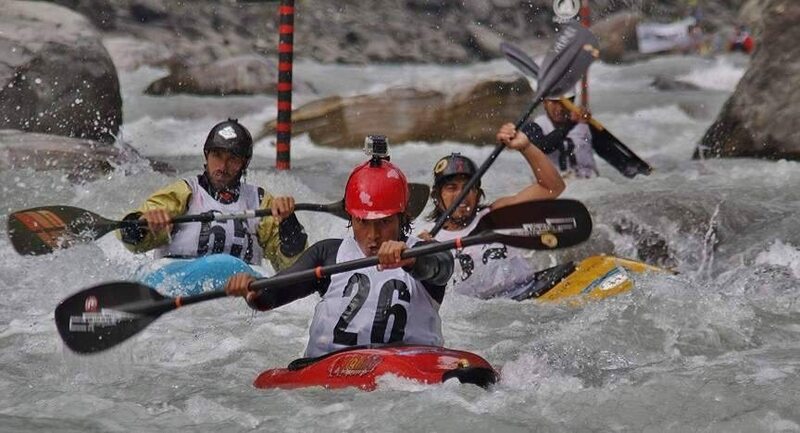 If Gurung were to achieve this level of instructorship it would not only enhance his ability to share with the other local boaters, but also raise the international recognition of Nepali kayakers and the rivers there. Gurung has been working as a kayak instructor and trip leader with Join Adventures since it was originally conceptualized by Australian Laura Oakley in 2014. His strong understanding of the program’s philosophies and goals led him to quickly become an integral part of the team where Oakley welcomed him as a co-founder. The Join Adventures team not only leads whitewater expeditions but also offers training to local paddlers of all levels. 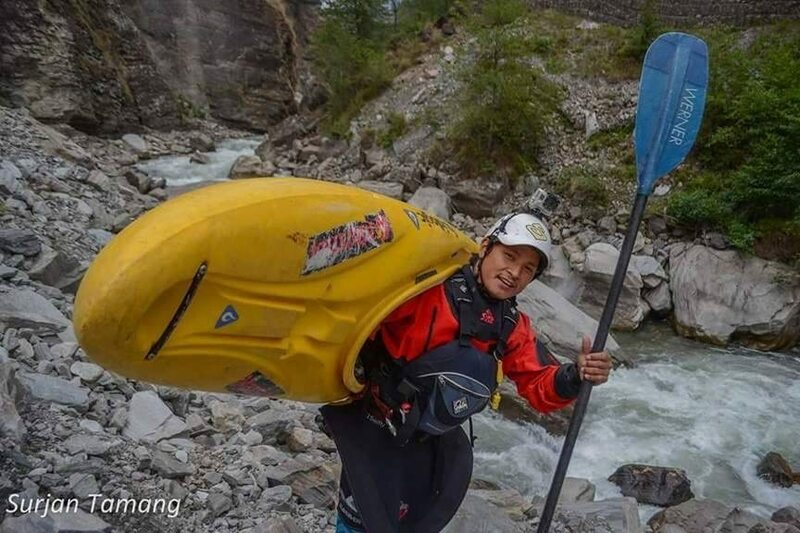 The local trainings for Nepali paddlers are free, and as part of their mission to pay it forward, Oakley and Join Adventures are also working to facilitate Gurung’s trip to New Zealand through helping him with funding and the complicated visa procedures. She and Gurung know what a big difference it will make to be trained in New Zealand because Oakley has completed the New Zealand Instructor Qualification and instructors from the New Zealand Kayak School have also taught in Nepal in the Join Adventure trainings programs. New Zealand Kayak School instructors Sophia Mulder and Jess Matheson spent three weeks working with the Join Adventures team in Nepal, and in that time showed Gurung how much more there was to teaching kayaking. Mulder is now helping to bring Gurung to New Zealand to work with the school. 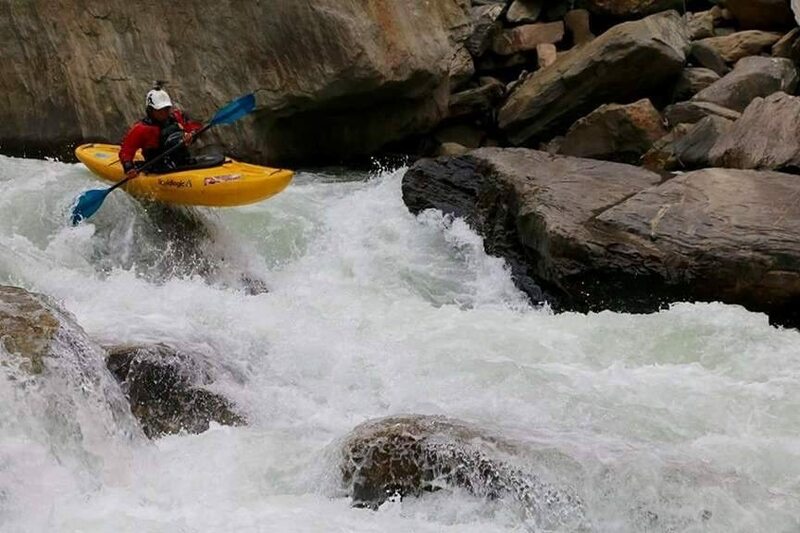 During the three week training in Nepal, Gurung stood out to Mulder as the most experienced member of the Nepali team and while he was already a high level kayaker, progressed his instructor skills is the next step. “The main things we helped Dipesh with was broadening his instructing toolbox to help fine tune the client’s skills and teach more advanced skills,” Mulder said. Gurung’s personality and passion for whitewater makes him the perfect candidate to send to New Zealand, Oakley described. Enhancing the level of instruction within Join Adventures will allow them to broaden their scope and continue to improve the programs they offer. 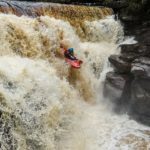 Join Adventures focuses on three-week to month-long expedition style whitewater trips welcoming all levels of paddlers and physical abilities, making adaptations to their trips to do whatever it takes to get people on the river. They encourage people of all cultural and economic backgrounds to join the trips and focus on including people with physical disabilities who wouldn’t otherwise be able to run the rivers. The trips see a range of guests from across the globe. Tim Kenyon, of Bendigo, Australia, who joined the team during an instructor training as a practice participant, got to see the inner-workings of Join Adventures. Kenyon said at the time he took part in the clinics he was just beginning to get seriously involved in kayaking. “The experience was extremely beneficial to my understanding of strokes and roll technique,” he said. For Larry Stewart of Tennessee participating in a month-long Join Adventures trip not only helped him to progress his kayaking skills, but was also a transformative cultural experience. He and his wife have taken several international kayaking trips, but venturing into Nepal was amazing and pushed their limits with many new scenarios, Stewart described. Fellow Nepalese kayaker and JA teammate, DBP Admin Surjan Tamang. Stewart was struck by the Nepali paddlers and wrote a letter of support for Gurung’s visa process. Amanda Gregory, who lives and works in Nepal, is also working to help Gurung to secure a visa so he can travel to New Zealand. Gregory’s passion for whitewater and Nepal inspired her to get involved with helping Join Adventures obtain their goals. To learn more about Dipesh Gurung or to help fund the journey, visit www.gofundme.com/kayaktraining. For more information about Join Adventures or to sign up for one of their trips, visit www.joinadventures.com.